Like all businesses, your organization depends on sales to flourish. But what is great salesmanship? How does one become a TOP sales person? Even better, how do you surround yourself with the best sales team an organization can ever dream of? • The BIGGEST barrier to selling anything. • Using logic in sales, and which attribute makes people BUY! 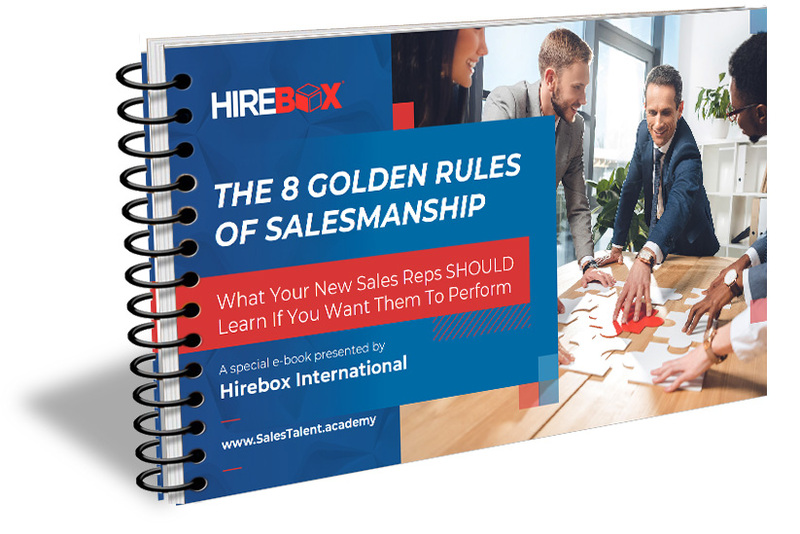 Download your FREE “8 Golden Rules of Salesmanship White Paper! ©2017 HireBox. All Rights Reserved.